Thokozile Angela Mathuthu was a Zimbabwean politician, member of the Zimbabwe African National Union-Patriotic Front. She was the former Minister of State in Matabeleland North. Mathuthu had been appointed in the October 2017 cabinet reshuffle. She was also the member of Senate for Matabeleland North and former Deputy Minister of Information, Media and Broadcasting Services. Mathuthu died on 13 August 2018. The cause of death was cancer. Thokozile Angela Mathuthu was born on 20 June 1968. Mathuthu was appointed the Minister of State for Matabeleland North in the cabinet reshuffle of 2017 by the then President Robert Mugabe. She was a member of Zanu-PF. She was Secretary for Gender and Culture after the ZANU PF 6th National People's Congress on December 2014. Before her appointment as Secretary for Gender and Culture she was the Deputy-Secretary for Transport and Social Welfare as well as Governor for Matabeleland North Province from 2005 to 2013. 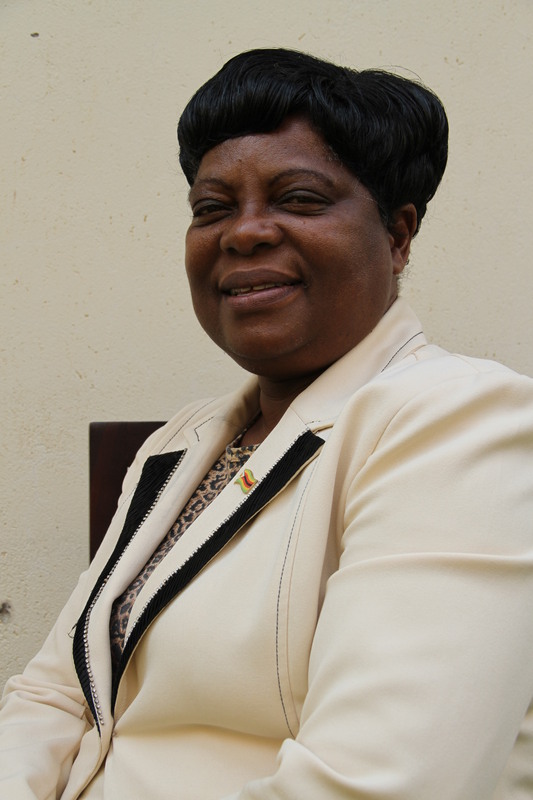 She was elected the Senator for Matabeleland North Province in July 2013. In September 2015 she was sworn in as the Deputy Minister of Information, Media and Broadcasting Services. Mathuthu was added onto the sanctions list in November 2005 by the United States government, Australia in June 2007 and the European Union in July 2005. In November 2009 there were reports that suggested that Mathuthu who was then Matebeleland North governor, was living luxuriously at the expense of the taxpayer. It was further alleged that Mathuthu stayed at the Bulawayo Rainbow Hotel for months despite Robert Mugabe's order that governors should live in the provinces they were appointed to represent. During this period she reportedly chalked up a bill that ran into millions of dollars in accommodation and meal expenses. Please visit the following to contribute to the profile of Thokozile Mathuthu.